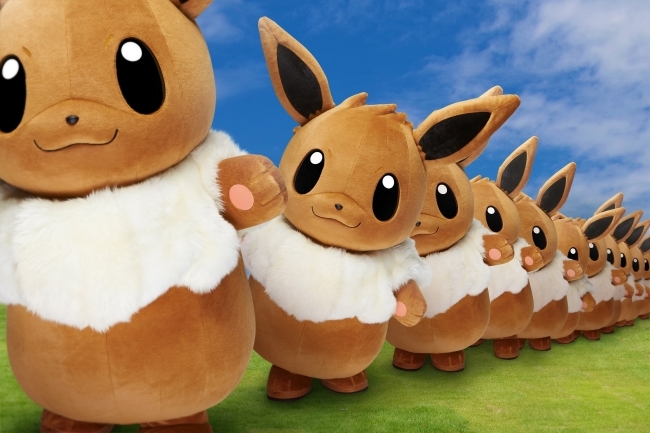 The Pokemon Company and Yokohama City have released the full details for Pikachu Mass Outbreak: Science is Amazing. 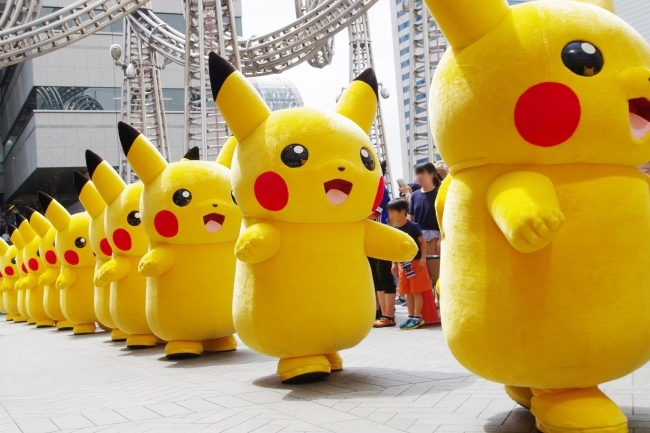 Pikachu Mass Outbreak is an annual event featuring thousands of Pikachu mascots swarming the city of Yokohama. 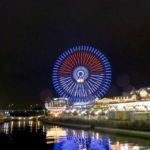 This year’s event takes place daily from August 10 to August 16, 2018. 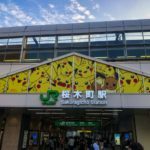 For Pikachu Mass Outbreak 2018 merchandise, click here. 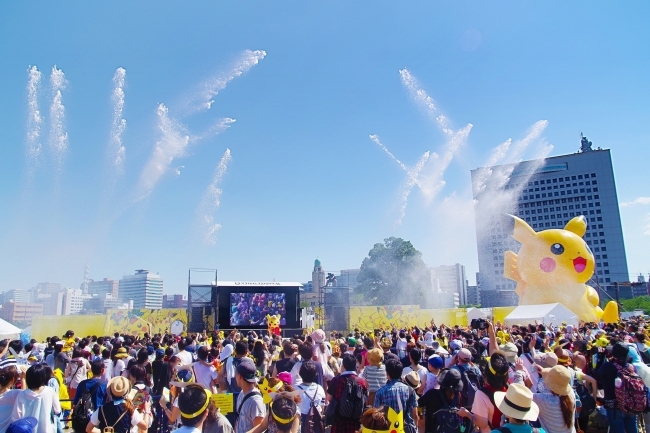 Jets of water will soak the participants at the Soaking Splash event, while a Pikachu performance takes place on a new type of stage. 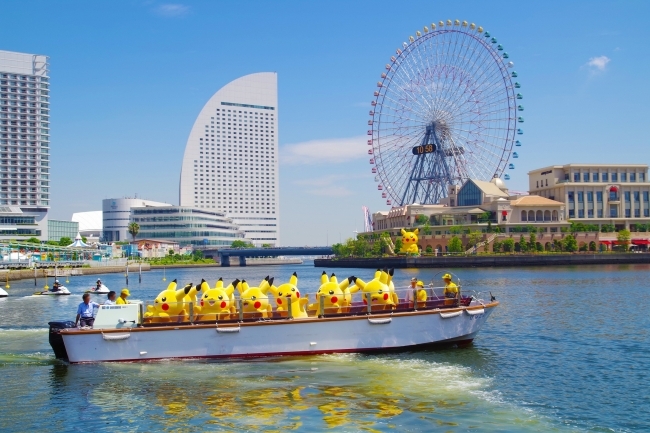 A horde of Pikachu will ride on a newly designed boat traveling across the beautiful rivers of Yokohama. Great time to take photos! 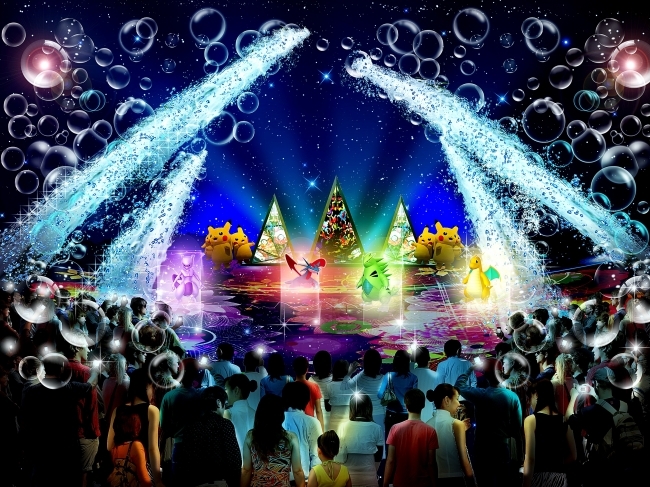 A special performance featuring Pikachu mascots, lights, digital technology, and more will take place on a floating platform.